The Skeleton Coast is a strip of desolate, unforgiving earth; a place where parched desert dunes ripple toward the Atlantic Ocean. Sailors, having wrecked their vessels in the heavy fog that spills off the land most mornings, found themselves trading life at sea for a hot, hellish terrain. One particular shipwreck feels like a fitting reminder of the coast’s foreboding loneliness. Trapped within a veil of thick fog, the Eduard Bohlen ran aground along Namibia’s Skeleton Coast on September 5th, 1909. The 310-foot-long cargo ship now lies partially buried beneath the sand, destined never to complete its journey from Swakopmund to Table Bay. 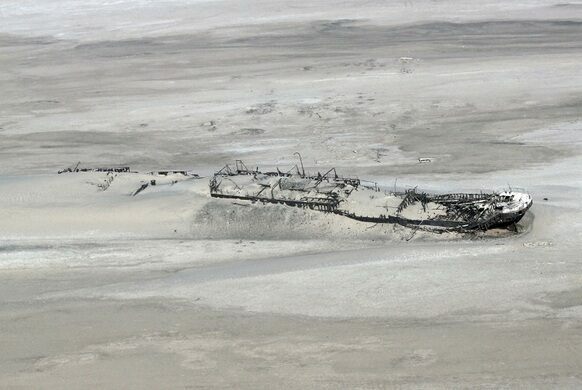 Strangely, the ship appears to be stranded within the middle of the desert. 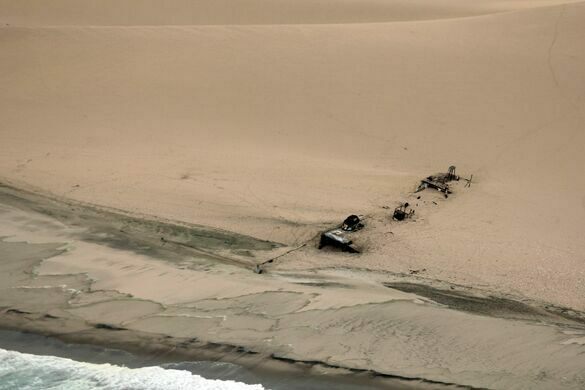 In the years after it sank, the desert began encroaching upon the shoreline. It’s more than 1,000 feet away from the water, making it a must-see for wreck enthusiasts, history buffs, and intrepid desert explorers alike. Wind-whipped waves of sand have replaced the ocean water that once lapped at its rusting remains. Jackals occasionally hole up inside when seeking refuge from the relentless sun. 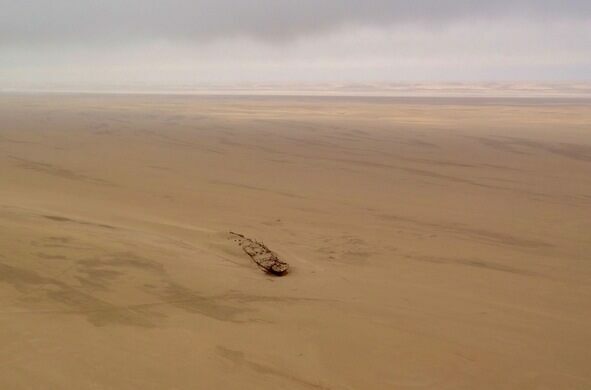 The Skeleton Coast has become an unplanned ship graveyard of sorts, dooming the vessels and their sailors to a dry desert end. 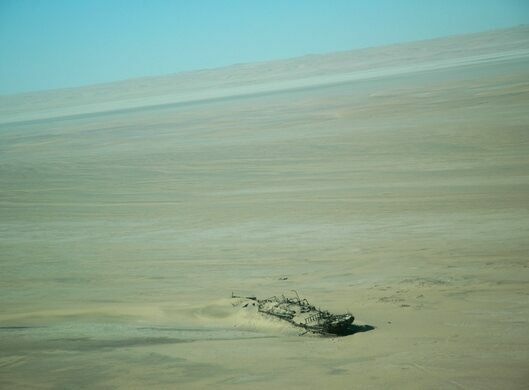 Shipwrecks litter the land around the Eduard Bohlen. Some still remain within the ocean’s grasp, while others are now no more than a few pieces of wood poking out from the sand. The remains of the worst maritime disaster in the history of the "Graveyard of the Pacific."